The flagship shirt of Jailbreak Brewing, this vintage t-shirt is so slick it’s almost criminal. 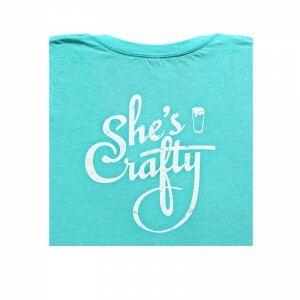 Wear this shirt proudly like a badge of beer warrior honor. 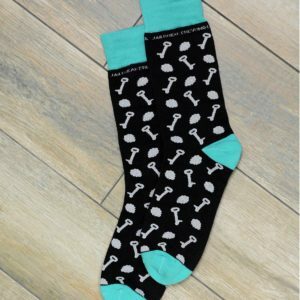 Pimp it out at the local pub and impress your friends with your fine taste in all things awesome. Regardless of your personal version of a jailbreak, this shirt will let people know that at any moment, you could go ape crazy and bust out into superhero status. Each shirt is a tri-blend of polyester, cotton, and rayon in graphite. 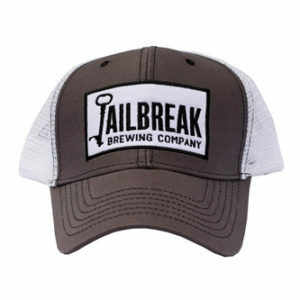 The Jailbreak Logo is screen printed on the front. The front also has a sewn-in Jailbreak Key tag. These shirts are fairly true to size initially and do shrink a bit over time, so please take that into account when ordering. to access this website, you must be of legal drinking age.